Advance Packaging & Adhesives LLC is best manufacturer and supplier of Flexible duct connector all over UAE including Abu Dhabi–AUH, Ajman – AJM, Sharjah – SHJ, Dubai – DXB, Fujairah – FUJ, Ras Al Khaimah – RAK, Umm Al Quwain – UAQ. Flexible Duct Connector is a Duct Accessories used to eliminate duct system noises and vibrations for industrial and commercial applications while doing Thermal Insulation. The Basic use is to isolate the vibration and noises from the source with an air tight flexible joint consisting of a fabric fastened to steel metal on both sides.The flexible connector is fixed between the A/C equipment or fan and the ductwork. Various cloth types, cloth widths and steel widths are available in order to meet most of the installation requirements at job sites. The duct connector fabric is available in three standard widths – 60 , 75 and 100 mm. The duct connector with 100 mm wide fabric comes with a metal stip of 70 mm width. The remaining duct connectors are available with 45 mm wide steel strip. Airmaster also offer related items such as foam gaskets, duct flanges and corners to facilitate sealing and securing duct connections. Download our catalogue to view the complete range of HVAC products. Airmaster is also an adhesive tape manufacturer, well known as advance packaging and adhesive, offering various products such as foil tapes, protection tapes, packing tapes, double sided tapes. Our manufacturing facility in the United Arab Emirates uses the latest machinery and high quality ,tested raw materials to ensure the production of a high quality reliable product. 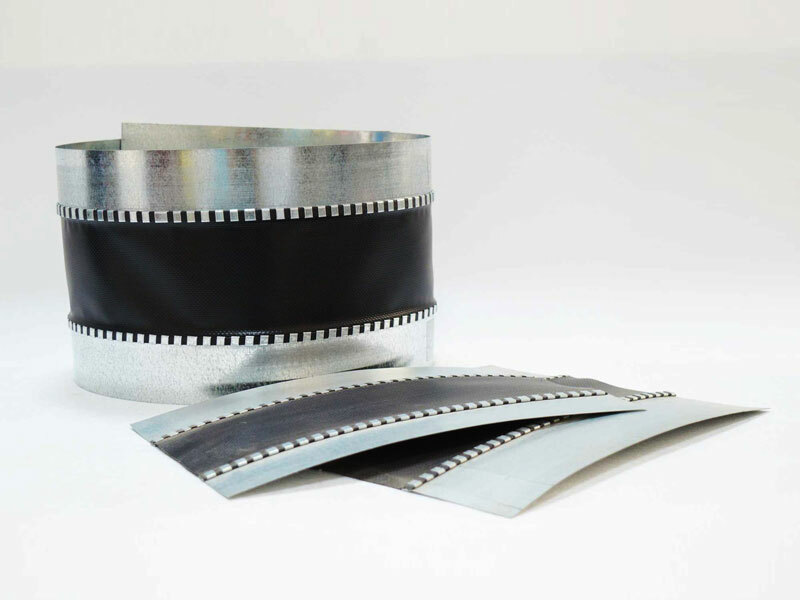 As an adhesive tape manufacturer, we also offer related products such as foam gaskets, duct connectors/flanges/corners, NBR/XLPE insulation, flexible/ rigid ducts, sealants and adhesives for various applications such as electrical, construction, HVAC and packing. Copyright Spaniac . All rights reserved.